Well, as I've mentioned before, that's by design. The Mouse learned a costly mistake in the last venture into China. After announcing the project and displaying various pieces of artwork, the Suits were shocked to find cheap knockoffs of some of the designs showing up less than a year or two after revealing these designs. That's why this time around the artist at WDI and the Suits at Team Disney Burbank are only letting the most vague of concepts leak out. They want to give you an idea of what is to come, not the copycats the ideas of what will come. So far we've been given a sense of scope and a look at a very large castle, no Main Street and various classic attractions in places not normally associated with it. But as to what or even if there will be a Space Mountain? It's not going to be revealed just yet. There are going to be several traditional Disney attractions, but the mix will include several that will surprise you. This park will not be just a clone of Hong Kong Disneyland. This all sounding very promising. Honor, what is the current status of Rasulo's "One Disney"? The attempt over the last decade was to conglomerate all of the resorts into one homogeneous "Disney Parks" brand, and the copying of new attractions from coast to coast continues. There's some obvious cost-accounting advantages to doing that, but it seemed also that the idea was to make each Magic Kingdom park a somewhat standardized experience rather than to embrace each park's unique design and features. 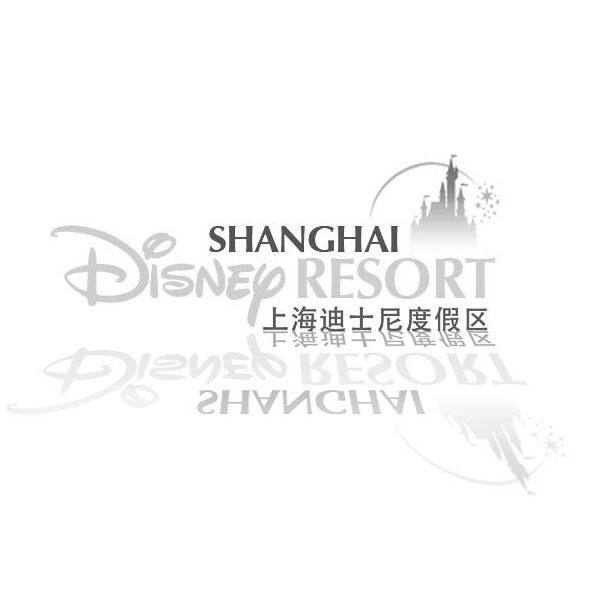 Now, however, Shanghai seems to be going in a completely different direction, which is great (and arguably necessary, since for the second time the mouse will have two competing resorts in the same country- though arguably the gap between them is a bit larger). That's actually NOT why you're not seeing much in the concept art. Sorry, Honor. The dirty not-so-secret truth is that HUGE chunks of the park have not been designed, much less approved. Internally there is huge squabbling and finger pointing going on. 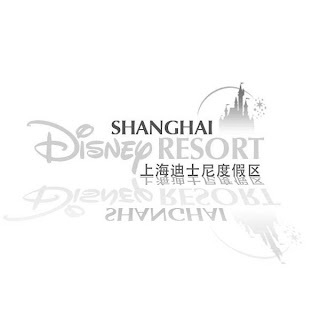 People who are being asked by WDI to take point in Shanghai and are refusing to go, simply because they don't want to live in China and have to deal with what is quickly looking like a real problem. This is why you're not getting a firm construction schedule. Anything Disney designs ultimately has to go through a byzantine approval process involving official Chinese oversight. And that's BEFORE, during and after their own layers of design teams get their ducks in a row on a given segment/project/individual attraction. This isn't about Disney worrying their stuff will be stolen. There's nothing to steal right now. And there's people screaming at WDI that if they don't fix this lagging schedule and start defining the park's individual and collective assets, they're going to fall further and further behind - and guess who that's going to tick off? They've put a smiley face on all this, but inside, it's angst and chaos... On a scale and with a vibe unlike any previous Disney park project ever mounted. Honestly, I could not care less - that park will be in *China*, what else is there to know about it? If the WDI suits were REALLY worried about that, they wouldn't have shown so much of the expansion of HKDL, some of that is still over a year away. And they showed off these plans straight away. Besides, HKDL was almost entirely a clone of Disneyland minus Frontierland/Toon Town, so it's not like it really broke a lot of ground like Shanghai will. So much for them trying to be secretive. The truth is, with Shanghai, it's simply too early. Years away, even... so plans are still in fluctuation. Remember how many times Westcot/DCA changed, even up to a year before it opened? Same deal here, but this time they're shutting up about it beforehand, and that's a good idea. But are they worried about copies? Nah. The decision to not release a great deal of art was made a couple years ago. Hong Kong Disneyland was pretty much a clone, but Disney was caught off guard at how quickly the design was copied. THAT is why the plans have been held close to the vest. And if you'll notice, SDL isn't an exact clone so there is more of an incentive to not let as much leak out. "The dirty not-so-secret truth is that HUGE chunks of the park have not been designed, much less approved." Part of it haven't been completed, that's true because WDI is trying to make sure that this park isn't an exact clone. But the designs that are done and those in a blue sky phase are being held back until it gets a little closer to construction. "Hong Kong Disneyland was pretty much a clone, but Disney was caught off guard at how quickly the design was copied." Considering that the park was a bit of a flop and that has everything to do with going cheap, who copied Disney and did it matter? I would think it didn't matter. Disneyland has been around for a long time. Copies are almost homages and people just pine for the real thing, but in Hong Kong Disneland's case, there wasn't much there to pine for. "but Disney was caught off guard at how quickly the design was copied." Alright call me stupid, but it was copied by whom exactly? Just curious. Thanks. Hey. Do you know the names of the parks in China (or a link of photos) that copied elements of HKDL? I'd genuinely be interested in seeing the post-HKDL rip-offs... it would help sell the "Fear of Copycats" theory. A bit out of the loop, what was copied? That had Disney go on a lock down. The Nara Dreamland park in Japan seems to have been a bigger issue. And the new Flight of the Dragon ride at Happy Valley wasn't copied overnight by some Chinese fly by night company either, it was made by Huss Attractions. Sorry, Honor. Someone's filled you a bill of goods. You're almost completely wrong. HUGE swaths of SDL are undesigned. There's enormous infighting and finger pointing and stress, the likes of which haven't ever happened there before, and they're about logistics. They just aren't ready to build. I don't know who's given you your information - but it's flat out wrong. Maybe they'll be holding their new ideas close to the vest when they're designed, but there's not much at all yet ready to commit to schematics and blueprints. You'll see the outer border areas - the infrastructure and the shopping village outside the gates - going up long before much else happens. I'm missing this... but, if HKDL is such a copy of Disneyland as it is... how was it copied... and where? Sounds like the typical disfunction is in full swing a WDI... as bad a ever I'll bet. Not only does DCA need to be re-invented form the ground up, but so does WDI. Clone_This said... has an excellent point. HKDL is nearly an exact copy of Disneyland, which completely defeats the idea the HKDL ewas knocked-off by imitators. Besides, I've been to most of the theme parks in Shen Zhen on the other side of the border. Most of those parks were built AFTER HKDL and not only do they look nothing like HKDL, they exceed them in theming and aesthetic design. Furthermore, Disney DOES NOT have a good reputation in China (They may have some love for Mickey... but that's it!). Most of the locals feel that the park is WAY overpriced for what it has to offer and the upcoming expansions are not going to change that perception, from what I understand. Therefore it is highly unlikely that any outfit in China intends to clone disney anything. Honor, will there be any original rides not found in any other disney park? will there be any original rides not found in any other disney park? That said, 5 years out is a long time and plans can & do change. If there is anything any of the "Anonymous" posters wish to inform me of, there is a better place than the comments section. There is an e-mail right here on the website. If you want elaborate about what you mentioned, then feel free to contact me. Deleting comments you don't like, or information that conflicts with what you're suggesting elsewhere, is a sure way to discourage participation in your site. I haven't deleted any comments, but if you have anything that conflicts with what I posted you can contact me about it. I hope they will create attractions like what you find in Disneysea. I really hope that they have the Pirates attraction that was proposed for HKDL. That would be one great way to differentiate it from Hong Kong.